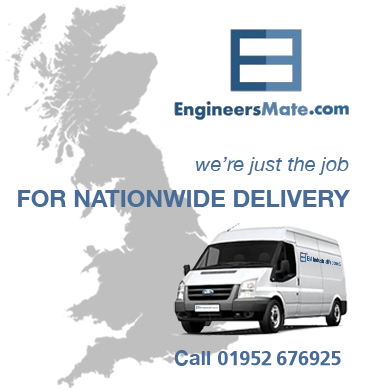 Engineers Mate are the largest independent Distributor and stockist of MRO and related products in the Midlands. We offer a 24/7 – 365 service throughout the West Midlands and Shropshire from our strategic locations. As part of the IADA Group (www.iadaltd.co.uk) we have direct access to many of the World’s leading manufacturers allied with our 24/7 engineering services and large stockholding we are able to offer a complete package to industry. In addition, our online platform, www.engineersmate.com, is the cost and time effective online platform for MRO customers. It provides our clients with the best – in - class online supply of industrial components, mechanical parts and the services required for the Maintenance, Repair and Overhaul of production machinery. If you have an urgent requirement because of a breakdown or a routine maintenance requirement, you want a supplier who is on hand to pass you that bearing, that electric motor, that pneumatic fitting, that belt whenever you need it. Engineers Mate® is more than a company’s name. It is a promise to our customers to optimize their customer experience.